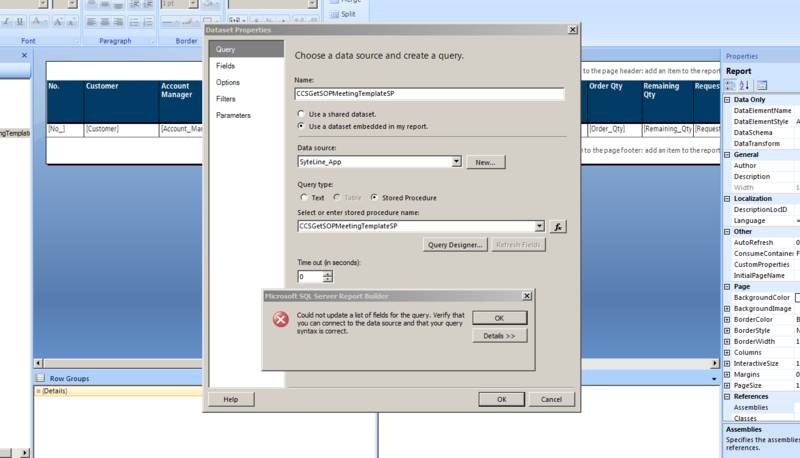 It occurred for me now a second time, that I am using Report Builder 3.0 and face the error that no connection to the query can be established to fetch the fields automatically. However, I am 100% sure the query is possible to execute and the credentials are correct. If you are, too, then you should check the query runtime. I noticed that when entering queries with more than 60 seconds runtime, Report Builder will start to recover itself – And that even when the timeout is set to infinite! 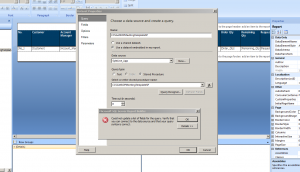 Once you also have this issue, you can quickly come around this issue by trying to limit the runtime of the query. 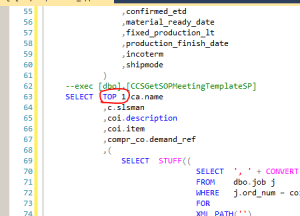 As my target is to get automatically all the SP fields set within Report Builder, I usually limit the calculation by TOP 1 inserts.